“What” is an unsurprising word: Most English-speakers learn early on that there aren’t many words that start with x or z. But which letters are the most likely to appear at the start of a word? Or in the middle or at the end for that matter? To quantify the big players in the alphabet, and visualize them in these neat charts, David Taylor at Proofreader dug into the Corpus of Historical American English. As it turns out, w’s tend to appear closer to the front, h’s and a’s in the middle and t’s at the end — making “what” a most unsurprising combination. The Proofreader project also answered a question I’ve been asking myself since I learned z is for zebra and not much else: “the” accounts for 6 percent of all written words. Taller and heavier: Using NFL player profiles, Noah Veltman of the WNYC data news team has made a simple but beautiful interactive showing how the weight and height of players has changed over the past 84 years. 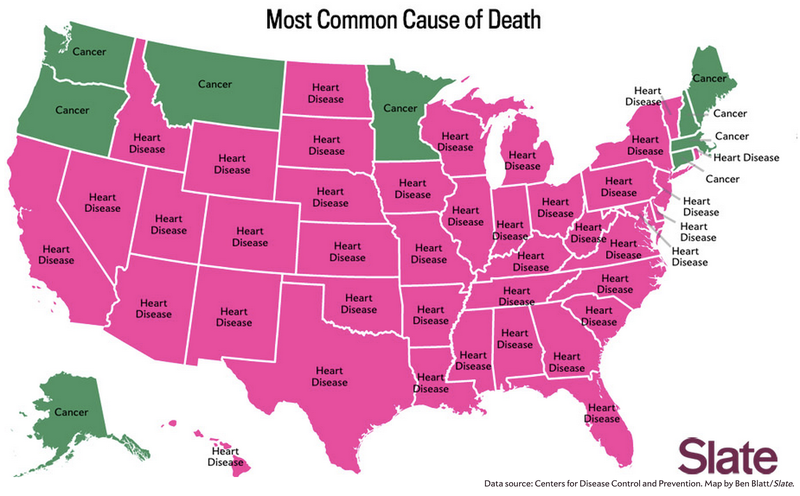 Killer statistics: The data is almost a decade-old, but since the Centers for Disease Control and Prevention hasn’t published new mortality statistics since 2005, Ben Blatt at Slate could only create these maps with what was available. And what was available shows a country meeting its end by heart disease and cancer. The post offers much more, including maps that show age-adjusted accident rates and the cause of death that most disproportionately affects each state. A mixed recovery: If you think 255 charts might be overkill, you’ve either underestimated the complexity of the recession or have yet to behold the incredible feature built by The New York Times’ interactive team. Find your own story by hovering over the lines or scroll down to read a narrative about how different parts of the American economy have been affected. Fake friends with real benefits: These days, popularity can be bought even in the seemingly meritocratic online world. Wanting to find out how popularity can affect credibility, Gilad Lotan at Medium spent $5 to buy 4,000 Twitter followers. Using network analysis, the data scientist quickly saw just how fake his new followers were — even if the online world, and his Klout score, couldn’t make quite the same distinction. Builders are men — even when they’re building software: GitHub is a tool that developers use to create exciting things online. 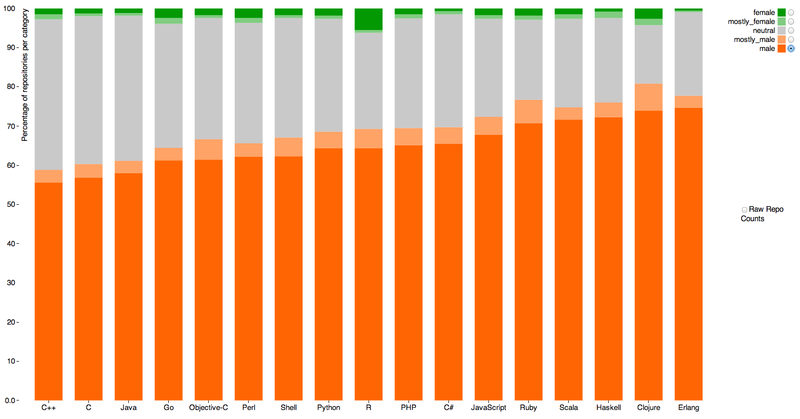 However, as Alyssa Frazee discovered when she searched for the names of GitHub users, only a tiny fraction of those creators are women. Feeling your age: Just type in your age and find fun (or not so fun) numbers: the total number of candles on all your birthday cakes so far; how many people were on Earth when you were born; the number of times the moon has orbited the Earth during your life. 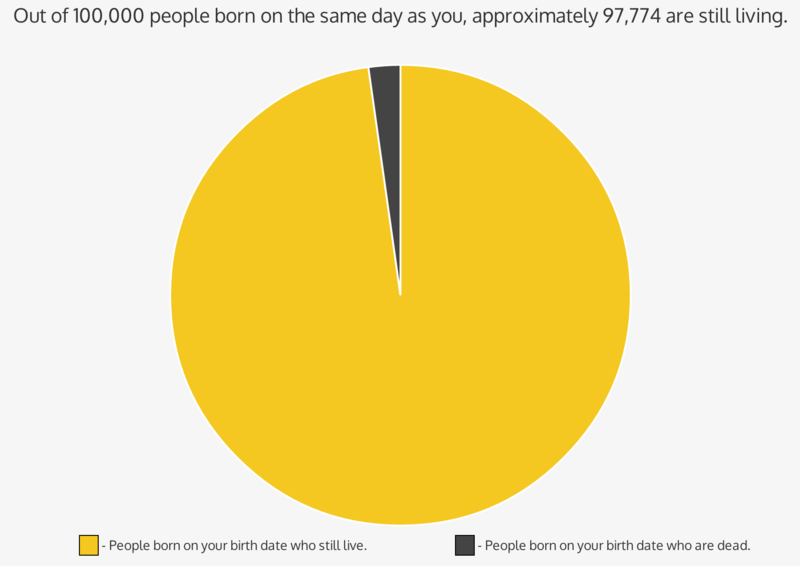 This site created one of the first (and last) pie charts to have ever given me joy. Black market bloodshed: America has been blighted by 68 mass shootings over the past 30 years, according to data collected by Mother Jones. 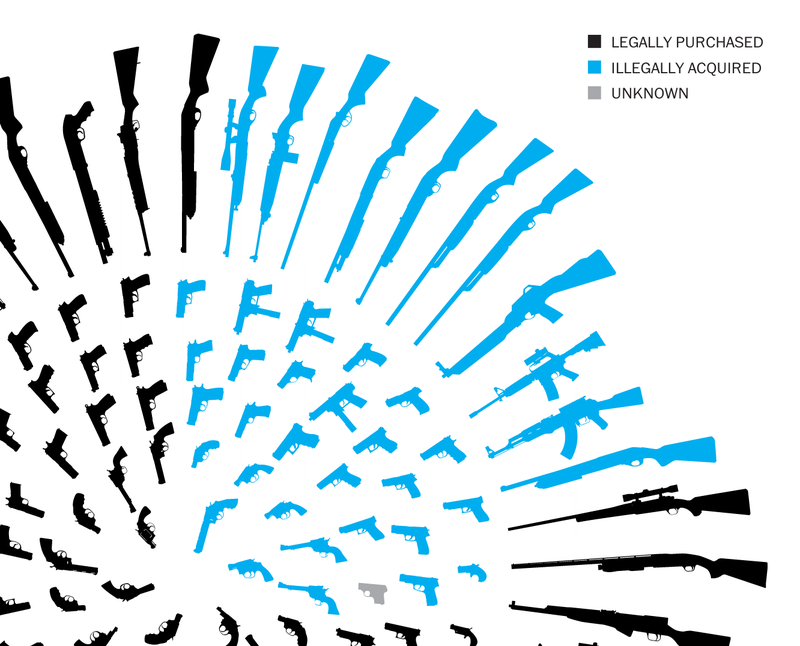 This interactive from The Washington Post visualizes which of the killings involved illegally acquired weapons.